RICHMOND, Ky. – Tyrel Bladen, a 6-10 center out of Coatesville, Pennsylvania, has signed a National Letter of Intent to play basketball at Eastern Kentucky University, head coach Dan McHale announced on Wednesday. 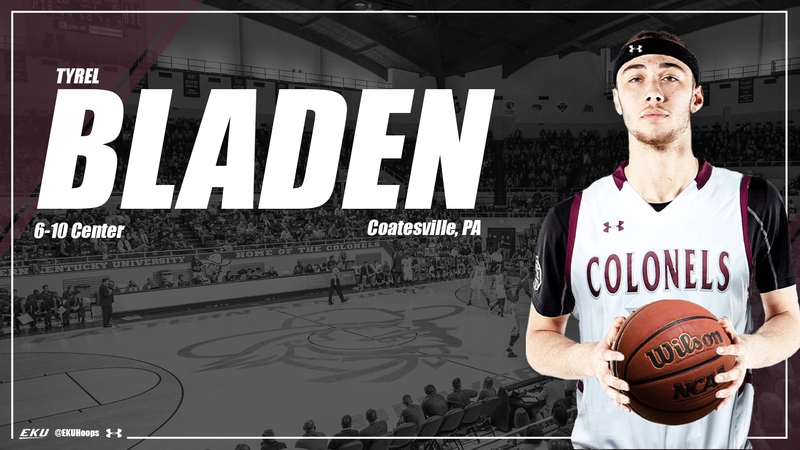 Bladen has been a team captain at Coatesville Area Senior High School the past two seasons. 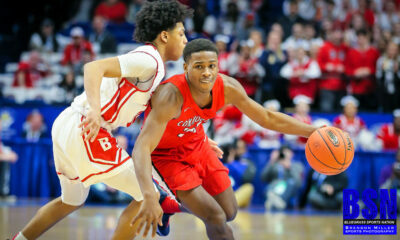 As a junior, he averaged 10 points, 8 rebounds and 3 blocks-per-game to help lead Coatesville to its first appearance in the District 1 finals since 2001. Bladen is coached at Coatesville High by Chuck Moore, a former player at Seton Hall and Vanderbilt. “Tyrel has been well-coached by Coach Chuck Moore, and I am excited that he will come in and have an impact right away,” McHale added. Bladen played AAU basketball in the summer of 2017 for the N.J. Playaz on the EYBL circuit.